Jan. 7, 2013 - PRLog -- Just in time for National Get Organized (GO) Month, Worthy Spaces (http://www.worthyspaces.com/), a Boca Raton-based organizational business is rolling out a full month of “Worthy” tips and events for South Florida residents, organizations and businesses. The happenings are guaranteed to be worthwhile to South Floridians as according to a study done by the University of Scranton’s Journal of Clinical Psychology the second most common New Year’s resolution for Americans is to get organized. · O – Outline a plan of attack; set reasonable goals for the space, including budget, layout, function, resources to perform work, etc. · Y – Yes; say yes to your new Worthy Space and make sure you keep up maintenance! · IKEA Organizing Expo – IKEA Showroom (151 NW 136 Ave, Sunrise); January 16, 2013 from 1:00 to 3:00pm. NAPO South Florida members will share and demonstrate their favorite organizing products while sharing advice with shoppers throughout the IKEA store. Advice and tips during the Expo will be complimentary. Learn more by calling the IKEA store at 954-838-9292. · Starlight Children’s Foundation GO Event – Starlight Children’s Foundation (1350 East Sunrise Blvd, Suite #105, Ft. Lauderdale); January 25, 2013 from 10:00am to 3:00pm. In honor of NAPO South Florida’s Get Organized (GO) Month Event, Worthington and her fellow professional organizers will be volunteering their time to assist Starlight Children’s Foundation, a 501 c (3) organization in Broward County focused on brightening the lives of children in hospitals throughout the state of Florida, get organized for the New Year. Activities will include organizing the Foundation’s management team’s offices, cleaning out files, organizing storage closets and space. Learn more at www.starlight.org/florida. For more tips as well as examples of Worthington’s work at Worthy Spaces, please visit www.worthyspaces.com. Worthy Spaces is a South Florida-based professional organization business that handles residential and commercial projects. 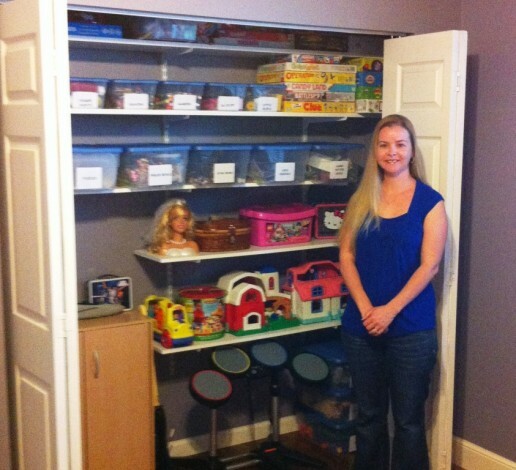 Founded in 2012 by Professional Organizer Michelle Worthington, the company offers a variety of services for individuals, families and businesses, including de-cluttering, unpacking and organization of the home (closets, kitchens, pantries, bathrooms, home office, bedrooms, playrooms and garages); office and desk organization, filing system organization, design and implementation, and paperless office conversion; as well as staging and purchasing. With the goal of helping her clients lead more organized, systemized and productive lives without stressing over the process, Worthington keeps Worthy Spaces customer-oriented and personal. Learn more at www.WorthySpaces.com.